If you live with sensitive skin, regular activities can be a challenge. Going for a swim, spending time outdoors, or trying out new makeup may cause adverse reactions. You might not be able to wear perfume, wash clothes with certain detergents, or eat some foods without consequences. While you can benefit from consulting a dermatologist, you can also take steps to protect and heal your sensitive skin at home. First, let’s discuss some of the reasons why your skin might be out of balance. Healthy skin protects a body against harmful influences in the environment. It has a layer of protective fats and cells that retains moisture and keeps skin elastic. This shield is also a little acidic to ward off bacteria, too. If that protective layer is too thin or compromised by damage, your skin might lose too much water. And it may allow in irritants like microbes, chemicals, or UV radiation. Then you’ll notice symptoms like redness, itching, blistering, and peeling. Dry and/or mature skin tends to be just that – dry and thin with small or invisible pores. 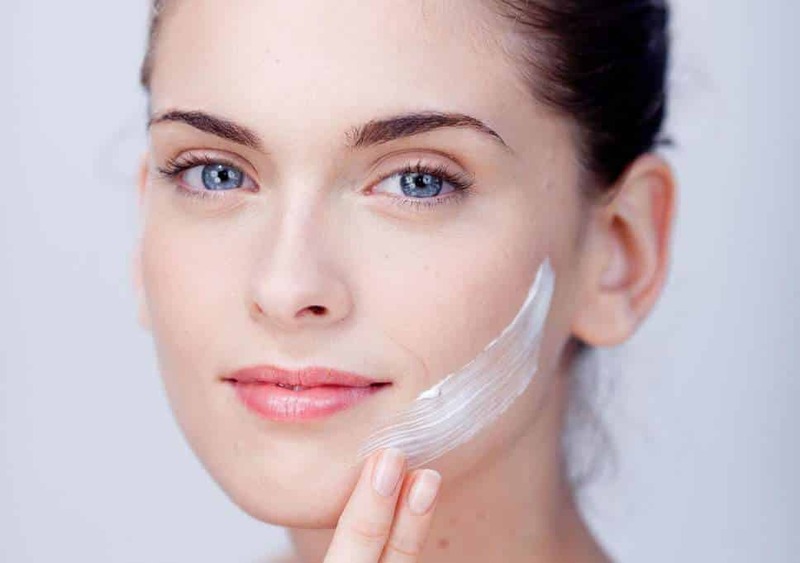 Common skin complaints include dehydration, tight skin, fine lines and/or wrinkles and premature aging. Combination skin types don’t struggle with overly oily or overly dry skin and typically consider themselves to have “normal” skin. When their skin is out of balance, they may experience sensitivity, breakouts, redness and/or inflammation. Oily skin types usually have thicker skin, larger pores and are oily in the T-zone. Common skin imbalances include excessive oiliness, cystic acne and/or blackheads. If you can put a tissue anywhere on your face and absorb oil, this is your line! In the chaos of life in this millennium, BLOOM believes in taking the time to connect the modern woman with her true femininity. We don’t offer a general cleanser or moisturizer – we offer a personalized beauty ritual to practice daily and enjoy with deep satisfaction. Apply a small amount of RESTORE to the area around the eyes and elsewhere on the face, as needed. The area between the eye brows and the “laugh lines” next to the mouth are especially nice. Enjoy your beauty. Enjoy your BLOOM. At BLOOM, we have curated our formulas impeccably to bring you the finest ingredients from every corner of the globe. Our botanicals are 100% undiluted and ethically sourced from sustainable organic farms. BLOOM is defining global beauty and delivering it right to your front door. Organic citrus auratium (neroli) – deeply penetrates the skin to rejuvenate and regenerate the cells; promotes new cell growth; helps prevent scarring and broken capillaries; promotes smoother skin; vibrates 2nd-4th chakra; joyful and uplifting properties benefit fatigue, grief, anxiety and depression. Country of origin: Tunisia. Organic boswellia carterii (frankincense) – effective in rejuvenating depleted skin; improves skin tone and condition; excellent for aging skin; warming to the skin; awakens higher consciousness; promotes spiritual healing. Country of origin: Ethiopia. Organic lavandula angustifolia (lavender) – antiseptic and anti-inflammatory; reduces scarring; promotes healing of the skin; calming properties. Country of origin: Bulgaria. Organic citrus limonum (lemon) peel – increases the luster of dull skin; high in Vitamin C that boosts collagen production; aids in purification; rejuvenates the skin; antiseptic properties treat blemishes and various skin disorders; powerful detoxifier. Country of origin: USA. Organic ormensis mixta (Roman chamomile) – antiseptic and anti-inflammatory properties; soothing to skin rashes; reduces skin inflammation; speeds healing; has skin lightening properties; helps prevents bacterial infection; relieves anxiety and stress. Country of origin: England.